The goal is to work my way through my Create a Critter cartridge, or at least until I get tired of all it's cuteness. (Doubt that will happen anytime soon.). 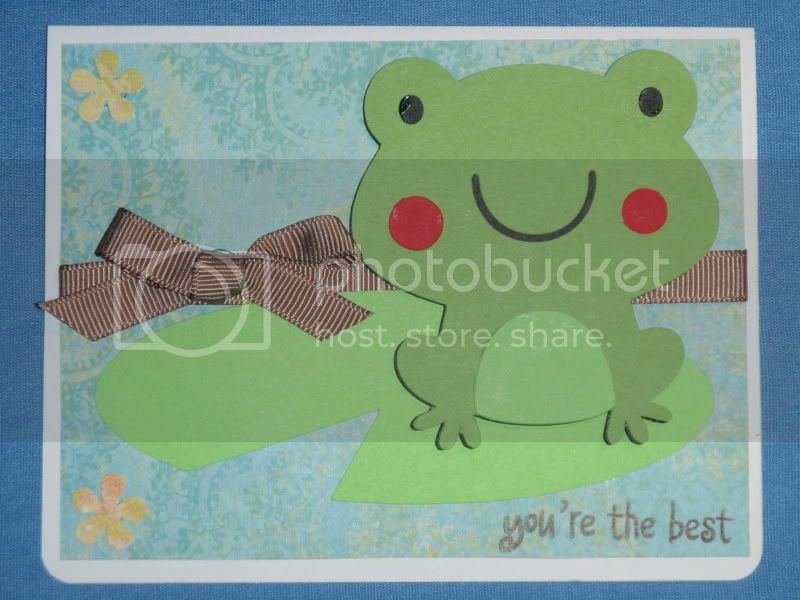 The frog and lily pad are found on p. 24 and are cut at 3 inches.